WHAT IS ANDARA STARS ? Andara Stars is a clothing line for yoga, leisure wear and dance but also a portal for blissful living with resources on yoga, sacred arts, self care, health and good vibes! We are inspired by the joy of living, luscious places on earth and the journey of discovery of our beautiful essence. Our clothing line unites Italian creativity with a Balinese production team, in an ethical and profit share small family run business. Andara Stars – Mindful Active Wear – is a fresh, versatile and playful garment collection that will follow your movements giving you freedom of expression. We use natural fibers that feel like a second skin; soft like breath, so you can reflect your uniqueness, spread the magic and feel good! Whether you’ll be exercising or relaxing, you can follow your bliss in total comfort and style. Let’s shine our light with awareness for the planet, a smile that breaks all boundaries and gratitude for this wonderful life! The name choice, Andara, comes from a recently discovered crystal which means ” Light of beauty and perfection”. This crystal increases awareness, possesses high vibrational frequencies and activates positive energy fields… This is also what happens when we wear garments that make us feel good, enhance our self-confidence and are comfortable for expressing ourselves either in a dance or yoga practice, or in any occasion. When we wear something that enhances our radiance and flatters our body we immediately feel more alive and we experience a vibrational shift that reminds us of our greatness. Andara Stars is a clothing line to feel empowered and embody fully in style your blossoming future self. Andara Stars – Mindful Active Wear – is inspired by luscious places on Earth, Sacred Geometry, Nature, Bodacious living and the journey of discovery of our Essence. 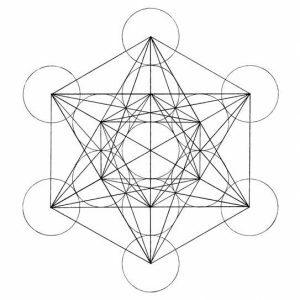 The logo is inspired by the sacred Methatron Cube geometric shape, a combination of Tantric Star and the Octahedron Cube. It expresses the union of Male and Female, forming the alchemical component of Prana Breath. The Methatron Sphere awakens conscious existence and heals the heart with a sense of gratitude. The star in the centre of the logo is a reminder to connect to our centre point and manifest our reality as a pure Star Being. You can read more about our logo concept on our blog.